Accidents can happen to anyone, anywhere and at any time. Rest easy knowing that CSN Collision Centres has a 24 Hour Towing solution for you! 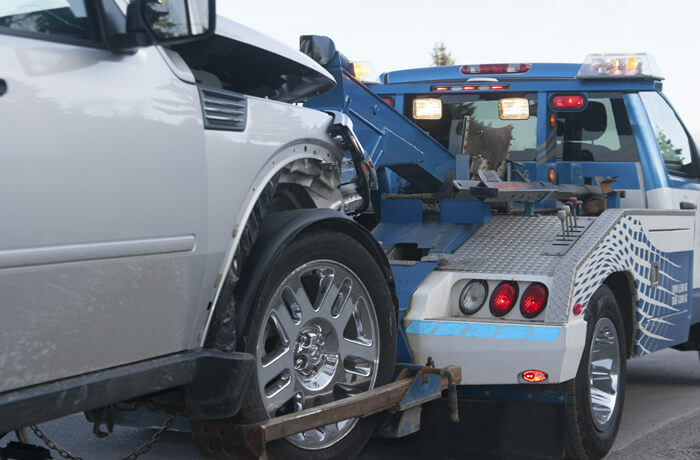 Our 24 Hour Towing Service helps you get your damaged car or truck to the closest CSN auto collision repair centre safe and sound. Call 1-877-700-4CSN (276) and we will take care of the rest! Once you arrive at one of our auto body repair shops, we will help you navigate your auto body repair and painting. This includes everything from dealing with your insurance company, to a professional estimate, to our auto body collision repair, to our National Lifetime Warranty. Our collision repair facilities feature expert auto body repair specialists, auto body painters and repair estimate specialists. Our technicians and state of the art equipment will bring your vehicle back to pre-accident condition. We guarantee it. ← Are you guilty of these?